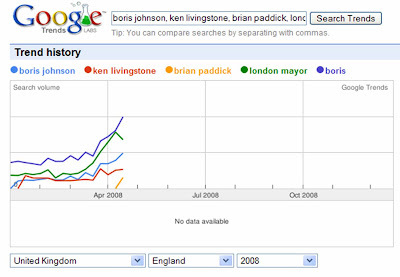 The London Mayor election was the first UK election where the internet had significant influence. I have written about various aspects of the online campaigns previously and thought I would summarise some of the key developments here. Whilst there were a number of official broadcast debates, various online initiatives sought to question the candidates and engage them in a more intimate environment. 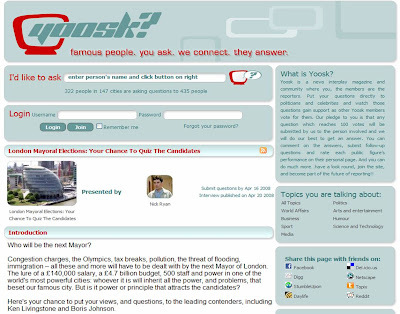 YouTube was less influential than it has been in the US elections, but the principle of users posting questions online for candidates to respond to was seen in a number of places - from live webchats with the Sun (where Boris suggested he would re-look at the smoking ban) through to more structured online hustings seen on sites like Yoosk. The London Mayor election saw controversy around polls and polling methods with YouGov and IPSOS / MORI having a public debate about methodology and Ken Livingstone's campaign making an official complaint about the YouGov polls - SkyNews covered this here. YouGov conducted six polls (using their online panels) and always showed Boris Johnson with a lead - ranging from 6% to 12%. This went against some of the other more traditional, telephone based polling of rival companies which showed a much smaller lead for Boris and at one point showed Ken Livingstone ahead by 4 points. The final YouGov poll published on Thursday morning (voting day) exactly predicted the actual result with Boris winning by 53-47%. This has prompted a press release entitled 'YouGov [online poll] gets it exactly right in Mayoral election' and offers to 'help the inquest into inaccurate telephone polls.' (full release can be seen on the Adam Boulton blog). http://www.londonelects.org.uk/ was set up to encourage voter turn out and to provide a central, neutral, online focus point for the London Mayor election. From running an initiative to find (and part fund) an independent candidate through to offering consolidated results analysis once the election had finished, Londonelects.org.uk gained over 1 million visits and contributed to record voter turnout. A number of companies have tried to show case their products by applying Buzz Tracking to the London Mayor race. Systems like 'Opinion Tracker' or QDOS kept track of online buzz around the candidates and published their results. Other traffic analysis companies like Hitwise also published insight on respective candidates web traffic. 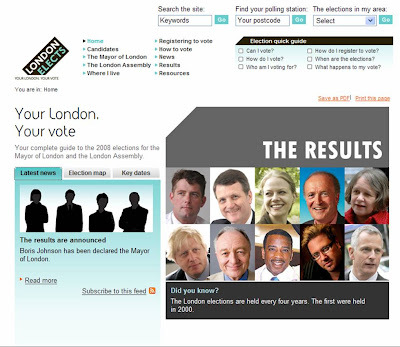 (http://www.nickburcher.com/2008/03/london-mayor-election-will-see-new.html) and I think the London Mayor candidates' online campaigns were comprehensive. 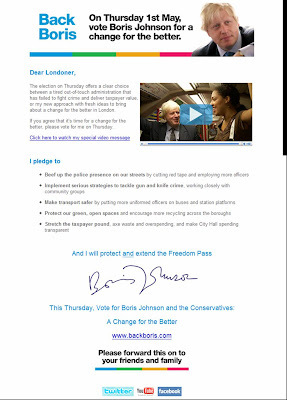 I don't think it is any coincidence that the most well developed internet campaign belonged to Boris Johnson, the winning candidate. In future UK elections I expect to see online activity further developed with increased use of behavioural targeting and opportunities such as Facebook messages targeted to users in line with their political preferences. The London Mayor campaign was a testing ground for a number of online strategies and I think the internet will be a major battleground in the next UK general election.